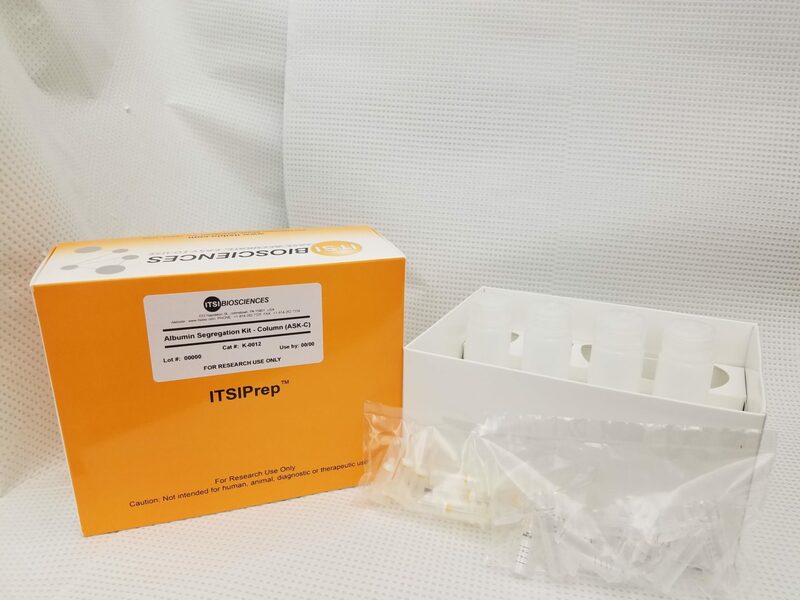 ITSIPrep ASKc (K-0012) is a validated spin column based protocol for depletion of albumin (Alb) from serum and plasma samples prior to analysis of the albumin enriched fraction (Alb+) and/or albumin depleted (Alb-) fraction. More than 90% of albumin is depleted from whole serum using the ITSIPrep ASKc Kit (see Figure). This protocol has been widely applied in many laboratories for albumin removal to reveal lesser abundant proteins in the Alb- fraction or albumin-associated proteins in the Alb+ fraction. 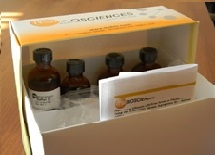 Treated samples can be analyzed by electrophoresis, mass spectrometry and western analysis.